Straddling a tract of undulating wooded countryside as one friend romantically put it “between Ireland of the North and Ireland of the South,” the 120-room, 5-star Lough Erne Resort lies nestled on a 600-acre peninsula. Within a two-hour drive of Dublin, Belfast, Sligo and Derry airports, the resort has five helipads, with St Angelo, a private airport, also nearby. Alternatively, those guests coming by water can arrive by seaplane on Castle Hume Lough, which the resort directly overlooks. Due to such easy access and its quiet location, the resort was chosen as the site for the G8 world summit in 2013 attended by US President Barack Obama and other international leaders. We arrived by more modest means – overland, by car – past gently rolling hills that skirted Lough Erne, then through a sturdy electronic gate and along a winding driveway to the formidable granite-stone hotel building with its well-trimmed lawn sweeping down to the water’s edge. Though the resort, managed by Andrew Phelan, was only built seven years ago, at a cost of around 30 million dollars, our first impression upon entering the spacious lobby was of a stately home with thick carpeting, burgundy leather armchairs, ornate table lamps, damask curtains and elegant oak paneling. A cozy library to which children under 12 are not permitted features a fireside fixture and is one of the property’s locations where traditional afternoon teas are served. Interestingly, the library is dedicated to Gordon Wilson, a peace campaigner during the northern Ireland conflict whose daughter, Marie, died in a bomb explosion. 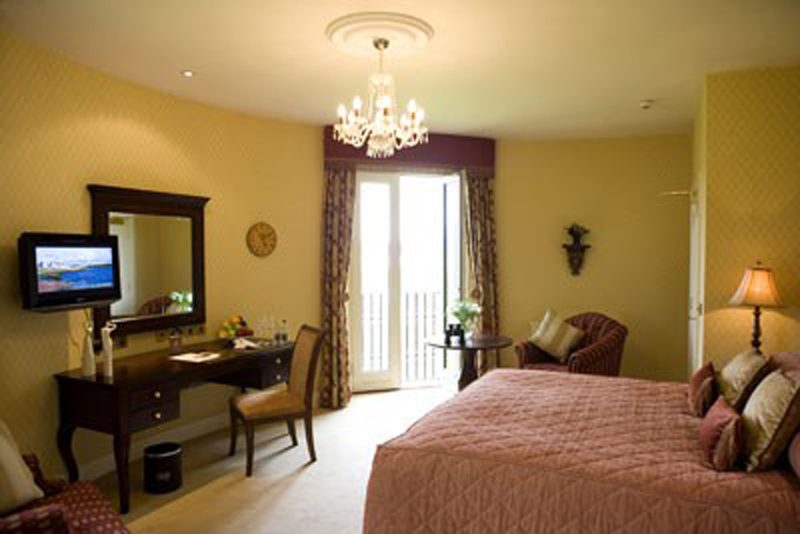 Our room on the first floor granted us delightful views over the Faldo Golf Course, named after Nick Faldo, the English former world number one who designed it, and a simple wooden bridge leading across the lake to the forest beyond. The course is one of two at the resort in addition to a Golf Academy, all under the guidance of friendly Lynn McCool, director of golf, who welcomed us warmly and enthusiastically advised us in detail about interesting places to visit in the area. Using video technology to appraise clients’ skills and deficiencies, Lynn patiently demonstrated to me where my golf game was amiss, then brought us on a driving tour of the course while supplying us with snippets of local history. The Golf Academy offers beginner lessons as well as advanced classes for individuals and groups. So respected is the resort’s golf facilities it has been selected as host of the 2017 Irish Open, good news for the new owners of the property, a US investment group led by Vince Avenue, which bought it earlier this year for an estimated 11 million dollars. In addition to golf, the resort also arranges lake boating, coarse fishing and has a Thai-style spa sauna, steam room and indoor pool. We dined in the resort’s ‘Catalina’ restaurant, named after amphibious aircraft known as ‘flying boats,’ which Ireland, neutral during World War Two, secretly allowed the Allies to fly over its nearby territory. The menu is an ample reflection of Antrim-born executive chef Noel McMeel’s fondness for Irish produce. 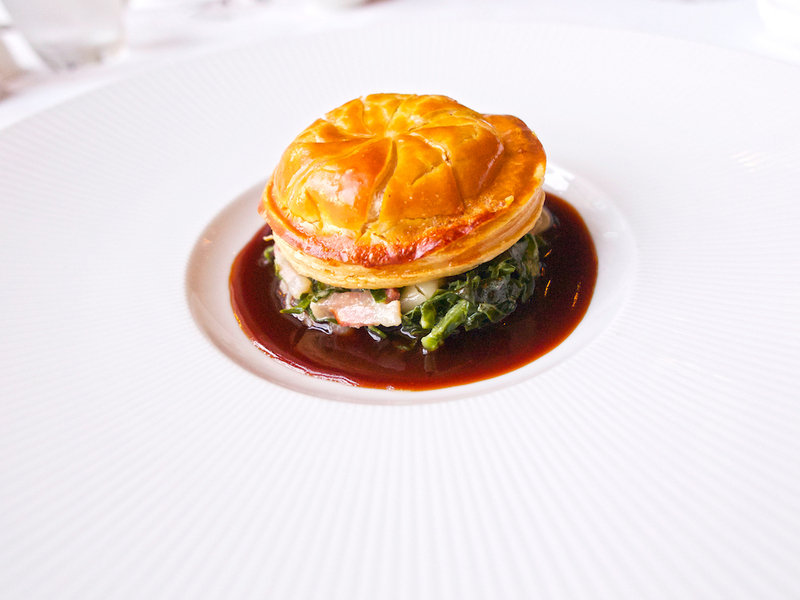 Starters featured roasted quail from Dromoland, County Clare, a delicate display of leg confit and crown with celeriac puree and spring cabbage; and local, thyme- infused rabbit meat pie with Fermanagh black bacon and creamed cabbage. For mains, we chose the chef’s signature, ‘Lough Erne Pork Dish,’ the plate coming generously laden with fillet, cheek, ham hock, palmier and pork belly with an apple sauce; and the local lamb aromatically flavored with rosemary juice, parsnip puree and grilled shallots. The resort includes two other dining options – the Loughside Bar & Grill for all-day casual dining with grills of Fermanagh Kettyle beef and the ‘Halfway House,’ a log-cabin style café behind the ninth green of the Faldo Course, offering light bites. Of the cheeses, which ranged from the local to Spanish, French and Switzerland varieties, the clear winner was ‘Young Buck,’ a mellow blue made by ‘Mike’s Fancy Cheese’ in Newtownards, northern Ireland. Aside from the resort’s attractions, Fermanagh, known as Ireland’s ‘Lakeland County,’ offers an area steeped in history and legend. Mysterious pagan Celtic idols dating back 3,000 years are carved in stone in nearby Caldragh graveyard on Boa Island while Devenish Island is home to a medieval monastic site and a 12th century round tower. A 20-minute drive from the hotel is the Magho Viewpoint – a UNESCO-designated geo-park – which grants panoramic views over Lough Erne and its many islands in a glacial valley created during the last Ice Age 18,000 years ago. Further away but a fine day-trip are the 2,000-foot high Slieve League cliffs and Bluestack Mountains of Donegal and the Sperrin Mountains in the nearby county of Tyrone. For something quirky and quaint, drive three miles outside the hotel gates and visit ‘The Ceili House.’ The brainchild of owner Tom McGowan, it is one of the most idiosyncratic pubs we have ever seen, furnished in a strange and wonderful way. You’ve got to see it to believe it. For a getaway Irish vacation in a quiet, rural location removed from the tourist-centric cities of Dublin and Galway yet with a host of activities and interesting sights to visit, Lough Erne Resort is well worth considering. 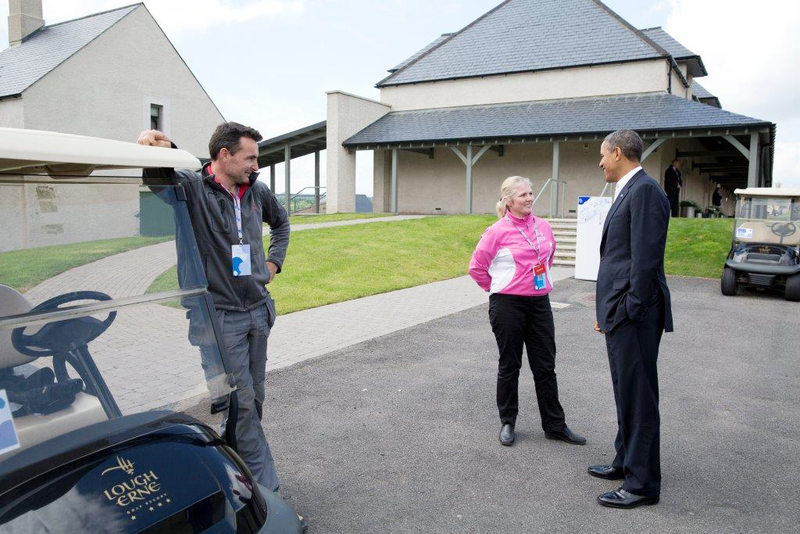 Posted in Luxury HotelsTagged best golf in Ireland, Faldo Golf Course, Golf Academy Ireland, Lough Erne Resort, Magho Viewpoint, President Obama visit to Ireland, Slieve League cliffs, The Ceili House FermanaghBookmark the permalink.